Hello everyone Monica here with a card for the a2z scrapbooking blog. 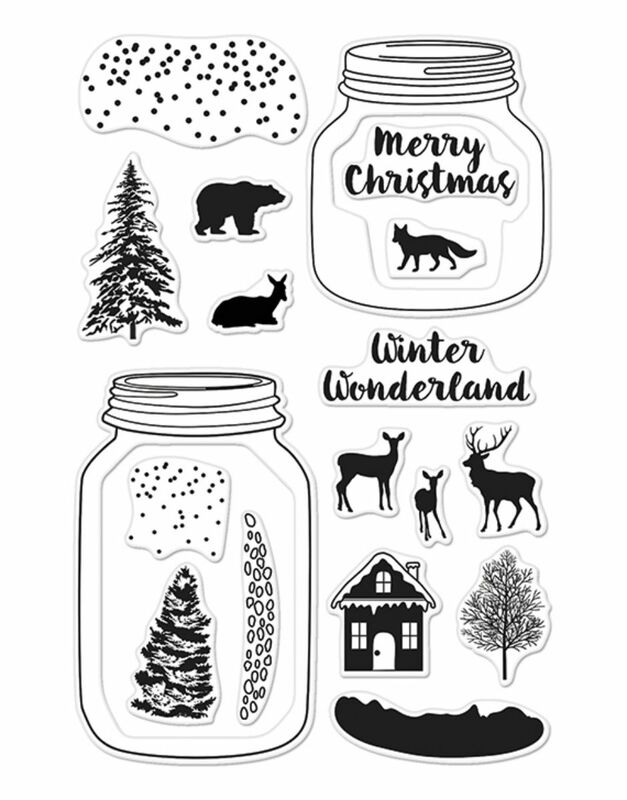 I want to start this post off by letting you all know that the Hero Arts Christmas release is in the a2z Scrapbooking store!!! Anyone else out there as excited about the release as I am?!?! Now on to the card. I kept with the theme of this months challenge and used some embossing paste with a Hero Arts stencil. Did a little selective die cutting to form a window on another layer and used some inks to add some color to the sky. Before adding the top panel to the card I stamped the sentiment and added a little twine to finish it off. Categories: Challenges, Embossing, Stencil | Permalink. 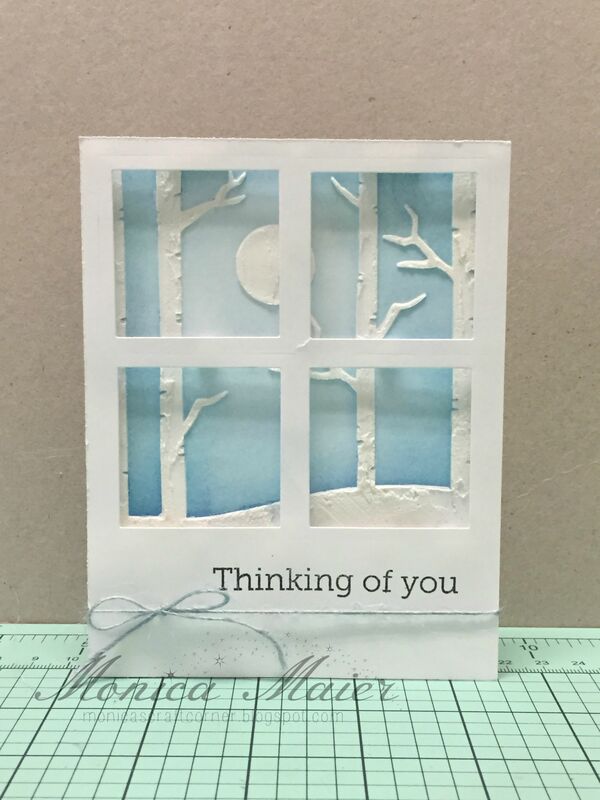 your card is just gorgeous Monica – love it! this is beautiful–love your window! What a fun stamp set! Very nice scene on your card looking out that window. I so love the way you used this stencil. A favorite of mine.